In a letter shared via social media Monday (Feb. 26), Dr. Eric Hoskins announced his immediate resignation as Minister of Health and Long-Term Care of Ontario. 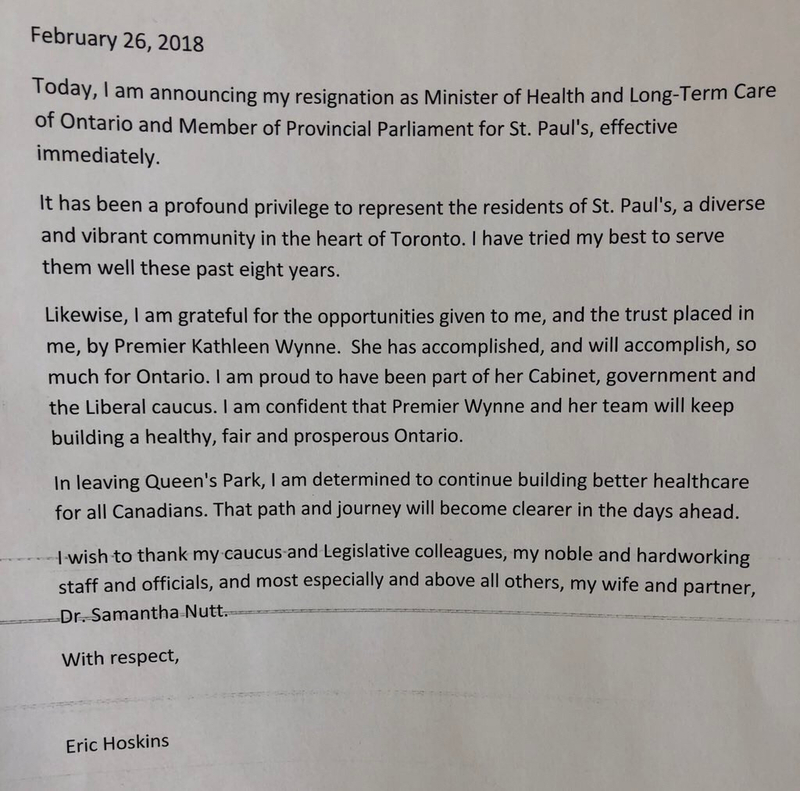 Dr. Hoskins, in the same letter, noted his resignation from his position of Member of Provincial Parliament for St. Paul’s. “It has been a profound privilege to represent the residents of St. Paul’s, a diverse and vibrant community in the heart of Toronto. I have tried my best to serve them well these past eight years,” wrote Dr. Hoskins. Click here to read his letter in its entirety.